Baby gift tower blue. Baseball Baby Gift Basket. 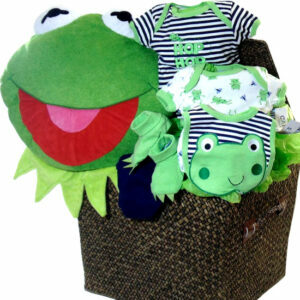 A great gift filled with newborn baseball items. 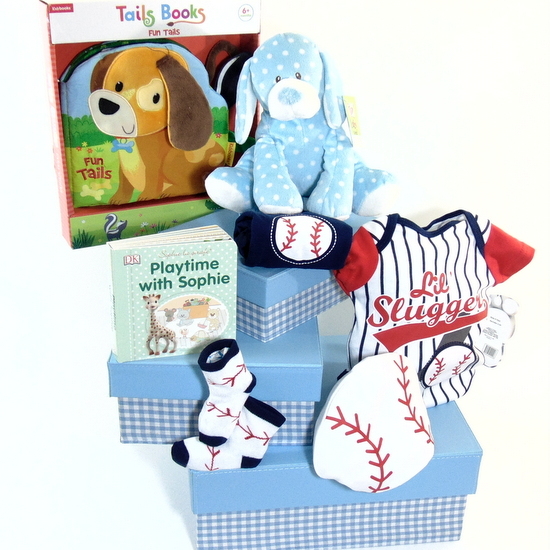 Send baseball gift to fans who will celebrate and welcome the arrival of a new baby boy. 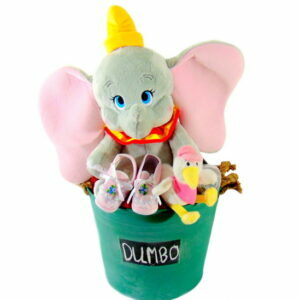 Free Toronto hand delivery to the door steps and Hospital of the parents of the new baby boy. Baby gift tower blue contains: 3 Blue and white checkered rectangular storage baby gift boxes, White and red Baseball baby hat. Little Slugger baseball baby bodysuit. White and blue baseball baby socks. Play time with Sophie book. Blue baby Baseball pants. Ganz baby blue dog wind up play and Kidsbooks fabric Dogs Tails book.